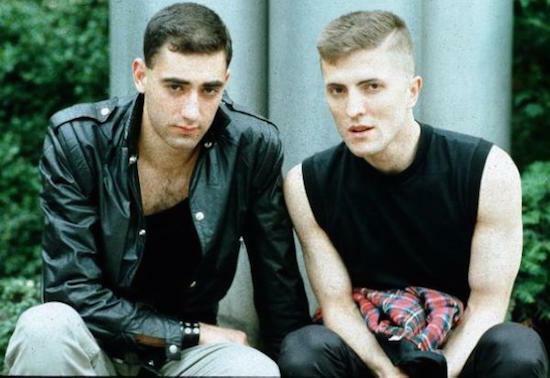 German techno pioneers DAF (Deutsch Amerikanische Freundschaft) will reissue four albums in a boxset entitled DAS IST DAF. The reissues, scheduled for release this September via Groenland Records, will collect music released between 1980 and 1982 by the duo, documenting their transition from post-punk into a more industrial, EBM-driven form of techno. The first record, released in 1980, and titled Die Kleinen und die Bösen, was Mute's first ever album release, and their last with other members before slimming down to the core duo of Gabriel “Gabi” Delgado-López and Robert Görl. Three albums followed that, released by Virgin Records: Alles ist Gut, Gold und Liebe and Für Immer. All of these records had been previously difficult to track down at affordable prices but will be reissued together on September 29.